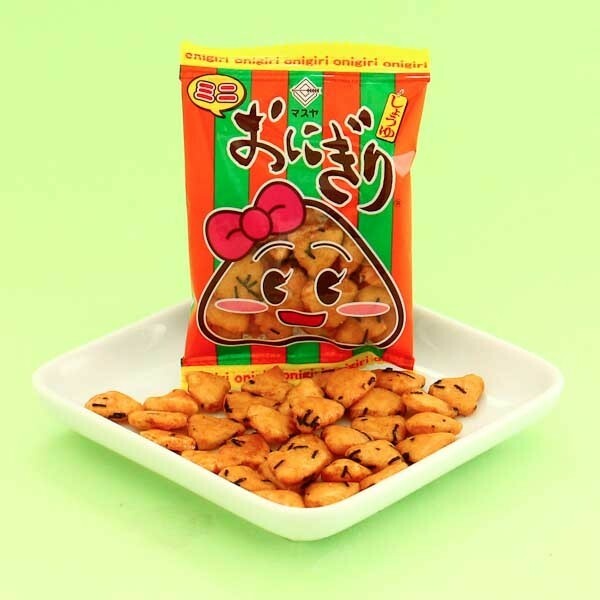 Senbei are traditional Japanese rice crackers, and these mini soy sauce and seaweed flavored crackers are the perfect snacks! 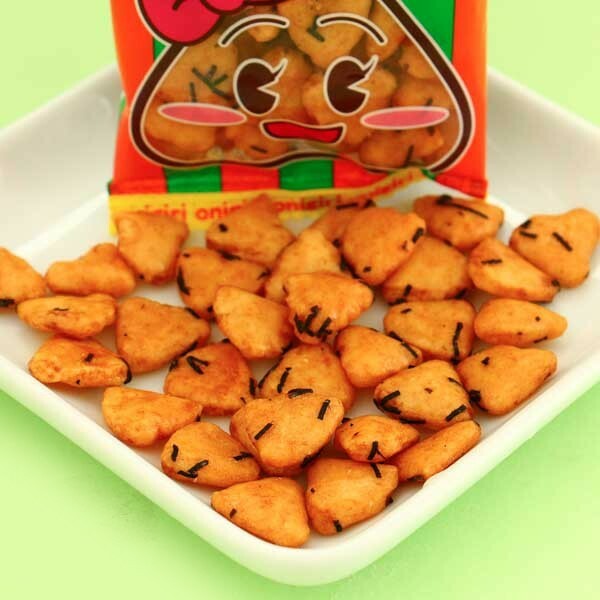 The crackers are triangle shaped like little onigiris, have a salty soy sauce taste and are crunchy & light. They are just like the original senbei rice crackers - only in cute mini size! Share these with all your friends and family!